Meet with us in Barcelona from February 25- February 28 at Mobile World Congress. 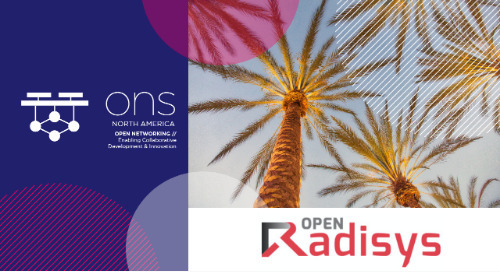 Radisys will be exhibiting in Hall 5 Booth #5i61, showcasing a variety of innovative, disaggregated, and virtualized enabling-technology solutions for open reference architectures. 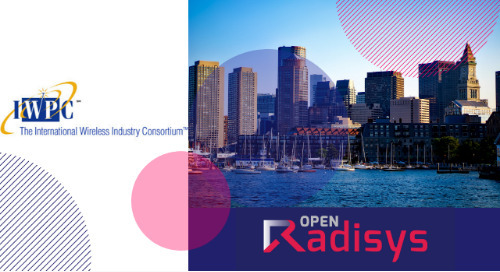 Radisys, a global leader of open telecom solutions, is demonstrating solutions that empower service providers to accelerate innovation and to break vendor lock-in, optimize network costs and performance with open architectures, and monetize 4G and 5G investments. 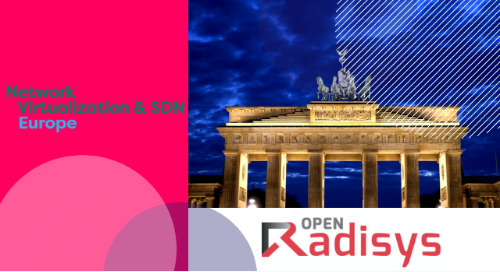 5G Acceleration – Radisys is leading the Open RAN industry initiatives and accelerating path to 5G. We will demonstrate how our first-to-market 3GPP R15 compliant 5G Software Suite delivers to service providers a clear path to 5G with support for NSA and SA deployments. In conjunction with our partner ecosystem, we will also demonstrate how our MobilityEngine software solution is powering smart cities with 5G connected video surveillance at the MEC edge, breaking vendor lock-in with fully interoperable multi-vendor 4G Open RAN solution, enabling 5G mmWave and Sub-6 GHz solution, and creating end-to-end market-ready CBRS solutions. Media Analytics Innovation - our MediaEngineTM software with embedded real-time advanced speech processing and media analytics is enabling service providers and system integrators to create new monetization opportunities and gain new cost efficiencies. We will demonstrate how advanced media analytics is enabling a next-generation safety infrastructure through applications such as voice biometrics and facial recognition based two-factor authentication, IoT-triggered emergency response system with real-time speech analysis, and real-time video analytics at the edge for remote video surveillance. SD-PON (Software-Defined PON) solutions - the increasing demand for high-bandwidth triple play services and advancements in fiber technology is driving a need to transform the broadband access network. 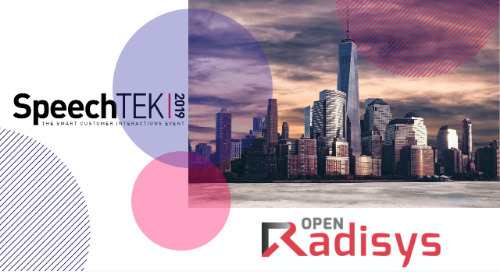 We will demonstrate a Radisys software-defined passive optical network (SD-PON) solution framework that enables service providers to achieve greater CAPEX and OPEX savings, access hardware vendor neutrality, and gain flexibility of deployment (at the edge or at the central office) by disaggregating their expensive and proprietary OLTs into virtualized OLT software and white box OLTs. The demonstration will showcase a triple play service (Giga-bit High-Speed Internet Access, IPTV, and Video Calling) on an XGS-PON based broadband access network that is disaggregated using a Radisys SD-PON framework. Visit us in Hall 5, Stand 5I61, or to set up a meeting, please contact us at sales@radisys.com. Natasha Tamaskar, VP of Global Sales and Marketing Strategy, will be speaking at the "Disruptive Innovation in Transport: Future Mobility" Panel, moderated by Mike Murphy, Deputy Director at Quartz. This panel will be held on Thursday, February 28 at 14:30-15:30 in Hall 4 - Auditorium 3 and will feature other speakers including Jacob Bangsgaard, ERTICO - ITS Europe CEO; Swamy Kotagri, Magna CTO; Rabih Arzouni, Transport for London & Fujitsu CTO; and Bill Gajda, Visa SVP, Innovation & Strategic Partnerships.